At Stream Perfect Global Services, we follow a set process for Document conversion for translation in order to maintain our high standards. The steps we use from document conversion are as follows. Pre-Processing: Our translators evaluate the documents at hand to determine the amount of time and costing. We carefully perform an initial inspection in order to send it to the appropriate language specialist to ensure smooth translation. Formatting: Our linguists convert the documents into the necessary formats either manually or electronically depending on the needs of document conversion for translation. 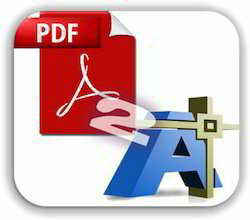 PDF documents are converted to word formats through OCR and other modern technologies. Document Conversion: The documents are carefully converted either manually by our linguists word-for-word or computerized through the efficient document translation software we possess. The conversions are done keeping in mind the language nuances and it is ensured that no meaning is lost during the conversion process. Post-Processing: Our linguists carefully peruse each document to correct any mistakes and assure the highest quality in translation. Nothing goes amiss through the carefully trained eyes of our proofreaders. The files are also tested for compatibility and readability on the clients desired formats. After Service Support: Any complaints or redressals are met with as soon as possible after the service. We offer complete guarantee and hope to achieve 100% client satisfaction. Audio & video translation is one of the most widely outsourced translation processes in recent years. This involves translation of audio & video for variety of purposes such as presentations, documentaries, movies, radio programmes, interviews etc. It is a widely known fact that people in every language community prefer to communicate, and get communicated well in their own local language. Hence, it is most important that to reach out to a foreign destination, audios & videos need to be translated into the target country’s language of choice. Stream Perfect Global Services provides a range of superior quality audio & video translation services in many foreign languages. Whatever your audio or video translation requirement is, we have a fully trained team of language experts to do it for you at the shortest turnaround time. we provide translation services for many industries such as entertainment, IT, engineering, insurance, education, travel and tourism, healthcare etc. Moreover, we accept audio & video files in all major formats and deliver translated file in your format of choice. Competitive pricing and no compromise policy on quality are some other factors make us preferable outsourcing partner for many global organizations. PDF file format is one of the preferred choices of many organizations, primarily because of its security aspects, portability and small file sizes. Despite of its advantages, sketches and drawings created in PDF causes problems, when they are needed to be edited or modified, particularly with a CAD software. In order to make them workable, these PDF files have to be converted into accurate DWG file format, so that it can be edited easily with any major CAD software. Expert professionals at Stream Perfect Global Services are adept in converting PDF files into DWG formats, by ensuring its dimensional accuracy and aspect ratios. Our various levels of monitoring and validation checks ensure that the converted files are free from any possible errors, which can be fed straight away to your CAD software. In addition to the promise of low prices, our quick delivery model makes us preferred service partner for many high profile organizations over the years.